In a small saucepot, bring 3/4 cup stock to a simmer; add rice and cover. Simmer 15 minutes. Season with salt and pepper then remove rice from pot and spread it out on plate or pan to quickly cool. Season meat with Worcestershire, salt, pepper, allspice, cumin, paprika, grated onion, pasted garlic, cooled rice, egg and a drizzle of oil. Roll into walnut-size meatballs. Heat a large, ovenproof skillet over medium-high heat with oil, 2 turns of the pan. Add cabbage, chopped onion and sliced garlic; season with salt, pepper and celery seed. Add cider vinegar and remaining 1 cup stock to the skillet and toss. Sprinkle with sugar and stir to combine; stir in chili sauce and soften cabbage, 20 minutes. Add meatballs to the skillet and place everything in the oven 15 minutes more to cook meatballs through. Meanwhile, mix all ingredients for the special sauce in a bowl. 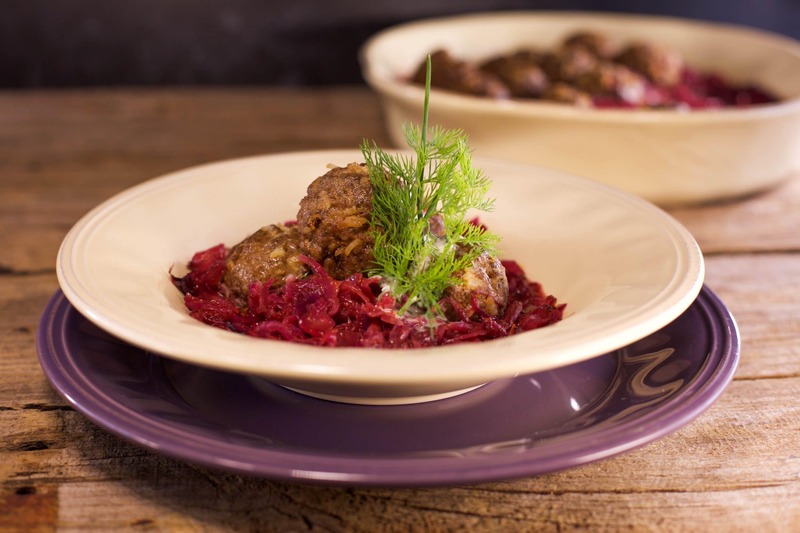 Serve meatballs and cabbage topped with special sauce. Please read this important message from the United States Department of Agriculture regarding a recent ground beef recall. In Recipes-list.com we have selected the most viewed recipes from category - uncategorized . Enjoy the best recipes specially selected for you! Sweet and Sour Cabbage with Meatballs is the right choice that will satisfy all your claims.